Last week I introduced yesterday’s sermon about knowing and doing the will of God, by bringing up the idea of soulmates. Does God have that one perfect person for you to be with for the rest of your life? There are plenty of other areas that we could talk about when it comes to discerning God’s will. Careers, houses, relationships, purchases. Lots of big decisions. And plenty of small ones too, right? If we are serious about knowing and doing God’s will, we should want to follow it in the big and small choices of life, shouldn’t we? So that could include which outfit you picked out to wear today. It could be your choice of what you had for lunch. We make loads of choices every day! So how do we know what God wants us to choose? God communicates his perfect will to us. Some examples of how he does this is through a still small voice, an inner peace, an impression of the Holy Spirit, other people, his word and so on. We can miss his perfect will. God communicates his will so that you can know how to hit the bull’s eye, but if you’re not listening to him or if you sin or if you don’t study God’s word, you can miss the bull’s eye, and you’re life will end up in God’s second best or third best. For example, how do you know that the person you married is God’s best for you? Maybe it’s his hundredth best. Maybe that’s why there’s so much divorce, because people have missed God’s best in their lives? As we evaluate the bull’s eye theory, there is an important question we need to ask: is the bull’s eye theory of God’s will what God has taught us in the Bible? There are many passages that refer to knowing and doing God’s will, and I urge you to study Garry Friesen’s book Decision-Making and the Will of God, as he surveys loads of them. In fact, what I am writing here is based on Friesen’s observations. It is an excellent study of the topic of God’s will. One passage that Friesen looks at is Romans 12:1-2 where Paul talks about God’s “good, pleasing and perfect will.” When you read the word “perfect” it sure seems like God’s best, doesn’t it? It seems that Paul must be talking about the bull’s eye. And people do try to use this passage to support the idea that the bull’s eye method of God’s will is true. But there are some problems with using this passage and any others to support the bull’s eye theory. It’s not actually there! – Nowhere in Scripture does God tell us to expect to hear from him what his individual will for our lives should be! But what about all those passages? As Friesen shows us, they are actually talking about a different will of God, his moral will. What is God’s moral will? The knowledge of Right/Wrong or what is Sin/Not Sin. God wants us to be very clear about what is right and wrong, but he never extends this to every decision in life. I’ll talk about this more below. The bull’s eye doesn’t draw the line on choices – Do I have to ask God’s will and direction on what socks I should where? What about which pair of underwear I should put on? What about which color car I should drive? We all make tons of choices about non-commanded things all the time? Are we sinful for not obtaining God’s best first before making all those choices? Impressions are too subjective – Advocates for the bull’s eye method suggest that one of the most prolific ways that God communicates in through inner impressions. I regularly hear the phrase “Well, I just don’t have a peace about that.” Usually that is the answer to a question about serving God in a way that is risky or requires sacrifice. How do we know what is an inner impression or what is simply the result of eating too many hot wings at dinner the night before? Michelle and I had wings this week, and I can tell you that I didn’t have peace the next morning. It had nothing to do with God. But you might be thinking at this point, what about when God so clearly spoke to many people in the Bible? Obviously he can, and he did a lot. I’ve been reading through Genesis, and almost every chapter God is talking in a voice to someone. But is it the norm? No. God can and may still speak, but there is no command in the Bible that tells us to expect God’s supernatural guidance in our lives. So what can we conclude? The traditional bull’s eye view of God having one best plan for your life is faulty because it is not taught in the Bible and leads us to constant doubt. We’re always wondering if perhaps we missed God’s best. That’s what someone told Michelle and me when we came home after a year as church-planting missionaries in Jamaica. We thought we were going to be there for a lifetime. So as we’re packing up our house, heading home feeling broken, like we failed, not sure what was next, we heard that maybe this happened because we missed God’s will for our lives. If we had listened to God harder, if we had discerned his bull’s eye plan for us, we would have, supposedly, saved ourselves a lot of heartache. I can tell you there was a lot of guilt heaped on us. But thankfully, we chose not to let it pile up. We hold to a different view of God’s will. A view in which there is freedom! We’ve got to come to God with the right attitude (Romans 12:1,2). We cannot expect God to guide us into his will by communicating it to us supernaturally. So how then do we know God’s will? Before we answer that, we need to understand what the Bible says about what God’s will actually looks like. He actually has more than one! God has a sovereign will – this is an overarching plan that cannot be overturned. Some people have called it the metanarrative of the Bible: Creation, Fall, Redemption, Consummation. What do we know is true? God will win in the end. There is no doubt! But in this post, I am not talking about God’s sovereign will. People too often equate God’s sovereign will with a specific individual will (God’s best) for people. So we have to move on. God has a moral will – this is a plan for what is right and wrong. This is what we read about in the Bible. Good and Bad. Sin and not sin. For example: you don’t need to ask God if it is his will for you to try to undermine your boss’s authority and turn all your coworkers against him. You already know that is against his will based on biblical principles. This is why it is vital for us to be students of God’s Word, for there we can learn so much about his revealed moral will. We learn who he is and what he desires, and we see that what he desires is in our best interest! But what about gray areas or non-moral areas? There are so many. Gray Areas – abortion, just war, and many, many other areas need to be addressed utilizing the principles of Christian Ethics. We’ll look into many of these later in the sermon series. Non-Moral Areas – This is what we’re dealing with in this post! Choices that are neither right or wrong. Who do I marry? Should I marry? What career should I pursue? Is God calling me to serve him somehow? If so, how? The principle we see in Scripture is this: In areas that are non-commanded, non-moral choices, God gives us freedom to use wisdom to decide. Whether it is which clothing to put on in the morning or which person to marry, God gives us the wonderful gift of free will wisdom to decide. And then he goes further by supporting whatever we decide. If you are thinking that you would like to date one of three or four different people that you have met, and you can’t decide because they all have their pros and cons, you would much rather have God break out of the clouds one day and just tell you which one is his choice for you. But he probably won’t do that. He could. Some people have said he did in their lives. But we need to see that as the exception rather than the rule. The rule for making choices is that if it is not a choice between sinning and not-sinning, then you can freely make whichever choice you want, using the wisdom God has given you, and God is supportive of whichever choice you make! But is this way of wisdom from the Bible? Yes! Take a look through Acts 15 and you’ll see this is how the early church leaders decided to choose! So while we should not expect God to communicate with us supernaturally, he still might. But the normal expected way that God wants us to discern his will and make decisions it that God wants us to use our wisdom (found in his word and in godly people’s perspectives). Remember, if we shouldn’t expect him to tell us what he wants us to do, we should pursue making a wise choice. We first of all make sure the options are not sinful. God would not want me to be in a profession or position where I would have to deal with the possibility of breaking his commands. There are tons of non-sinful choices. So then we look at our interests. Do we have any that stick out to us? Subjects in school we really like? Hobbies? Extracurricular activities? If there are many things that we like to do, or we’re just not sure if we could do these things for the rest of our lives, than I recommend getting experience doing many different kinds of things. What we are trying to answer is, do I have a passion for something? Does it seem that I have a talent or ability in an area that I really enjoy? Pursue it. Experience it. Next, it is okay to change gears. Most adults will tell you that they’ve changed directions or gotten into different responsibilities over the years. If you’re in college, you can change your major. It’s okay if it adds a year to your studies. If you’re in 7th-12th grade you might feel the pressure to decide what you’ll do for the rest of your life. Please don’t feel that. The beauty of the USA, unlike much of the rest of the world, is that you have options. Even if you have been in your career for years, it is okay to change gears. Are you feeling frustrated? Are you feeling like you can’t imagine doing what you’re doing for the rest of your life? When I was at the auto auction, I remember walking up and down the aisles of parked cars, counting them, checking my list to make sure they were listed correctly, in the right order for the sale. Hundreds of cars. It was legitimate, good work. Another person might have felt fulfilled in that. It might fit their personality and gifts. But not me. I was frustrated. I could not imagine doing that work for much longer. I was extremely thankful for the job, and I was also grateful when I was able to move on to something else. Listen for God to speak. As I said, God can and does speak, but he does not tell us in Scripture that he always will. And he doesn’t tell us that we have to wait to make decisions until we hear from him. Ask your parents what they notice. Get input from them, from grandparents, from friends. See if a trend emerges. Shoot for the best you can achieve. Avoid mediocrity. We need Christians in all fields. So you can look at any career as something where God would have purpose for you: to impact his Kingdom in that area. What this means is if you are making a non-moral choice, you can’t go wrong! If it is not a choice between to sin or not to sin, you are making a choice that God approves! Are you struggling with God’s will for your life? Are you wrestling with how to apply wisdom to the choice you need to make? I urge you to get Garry Friesen’s book. And if you’d like, comment below, and perhaps we can talk further. Which boy or girl does God want to fall in love with? Should I go to CTC or stay at high school and focus on academics? What career path is right for me? Ministry? What kind? Writing? Novels? Journalism? Where do I look for answers in the Bible? How will God let me know? Could God ever call you to be in the military?How do you know if you’re ready to pursue ministry or missions? Where would God have me serve in the church? Should I invest in more properties or give my extra money away? Should I buy a new vehicle or keep fixing a new one? This weekend we start a new sermon series that will last until Advent, studying Life in the United States. We will talk about what everyone is talking about. Some hot topics in the church. Some hot topics in the culture. War & Peace, gender, parenting, many different subjects. These topics are gray areas, areas where Christians disagree about what to do. Because of that my goal is not to give you the ONE CORRECT perspective. Instead, the goal will be to look into the principles God has given us that we can apply to these various topics. We start with God’s will. What have you heard about God’s will for your life? Does God have a plan for your life? Does he have a unique plan for your life? (As in, God’s “best.”) If so, how do you find it? Think about this Case Study – Does God have ONE person that he wants you to marry? We call that person the soulmate. We hear it a lot in our society. You need to find your soulmate, and if you do, life with your soulmate will be one, long unending explosion of romance. 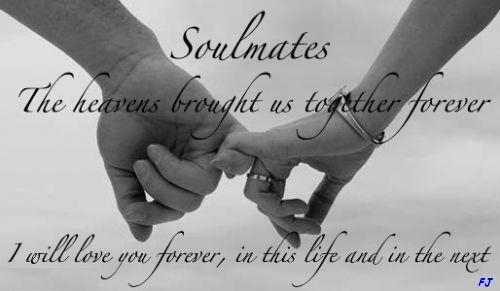 Further, as the picture above suggests, soulmates will be together forever. Really? Here’s the problem. There is no doubt that the idea of a soulmate is out there in our culture. But the idea of a soulmate is not in the Bible. So if there is no such thing as soulmates, how do we know who God wants us to marry? As we answer that question, we’ll learn principles for discerning God’s will that we can apply to many situations. We invite you to join us at Faith Church this week to learn more. We’re excited because this weekend is Worship in the Park, 10am, at Community Park on Hobson Road. Hope to see you there! A Discussion Guide for Church Leaders and Followers! A few weeks ago I started creating discussion guides that Faith Church’s small group leaders could use if they wanted to guide their group through a further consideration of a recent sermon. Last week I introduced the sermon saying that the concept of “majority rules” could be good, but also really bad. Faith Church is congregational, but that doesn’t mean the congregation votes to approve every decision in the life and ministry of our church. Instead the congregation approves leaders, which I suspect is the case at your church too. And that raises a lot of questions about the hows and whys of leadership. Here is a discussion guide that you can use to study the concept of leadership in the church. What kind of person should become a leader in the church? In the story in Acts 6:1-7 we realize that not anyone can be a leader in the church. Instead there is a very specific criteria for who can be a leader. In verse 3, the apostles give us the first description of what the next generation of leaders should be like. Full of the Spirit and wisdom. Next in verse 5 we learn another criteria for choosing these new leaders. They had to be full of faith. Paul would later further describe what kind of person can become a leader in the church when he wrote to two young pastors. See 1 Timothy 3:1-13 and Titus 1:5-9. How are the lists in Acts 6 and Timothy/Titus similar or different? Follow-up Question: Summarize the kind of person who can become a church leader in one phrase. At Faith Church we synthesize the passages listed above by saying that church leaders must show beyond the shadow of a doubt that they are spiritually mature. 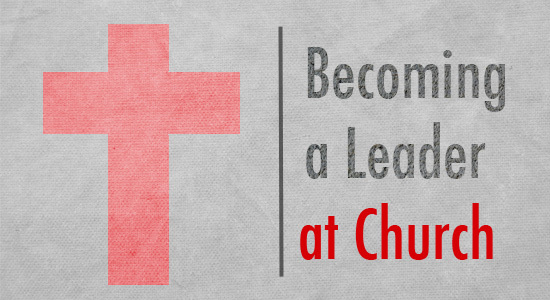 How do you become a leader at Faith Church? Back in Acts 6:1-7, the Apostles called a church congregational meeting and asked the church to select seven leaders based on the qualities we discussed above. Then it was up to the church to decide on selecting these seven. At Faith Church our Nominating Committee administers a process of selecting leadership candidates through applications, interviews, prayer and discussion. Once a candidate has proceeded through those steps, their name is placed on the congregational meeting ballot, and the congregation elects them by simple majority. How does your church select leaders? Is your congregation structure intentional about making sure only the spiritually mature can become leaders? If you are a leader, how can this passage and process be a safeguard for you? If you are not a leader, what can you learn about yourself and the possibility that God may have gifted you to be a leader? Read Romans 12:3-8 and discuss. How should church leaders lead? What does the word deacon mean? The word deacon give us an important clue as what a leader should do. Deacon means servant. Remember what Jesus told his disciples at the last supper? Peter was there that day. When Jesus came to wash his feet, do you remember how Peter reacted? Read John 13:1-17. What can we learn from this story about how leaders should lead? It is possible Peter remembered the Last Supper when he wrote 1 Peter 5:1-5. Read that, and discuss what he says about how leaders should lead. Leaders also set the example. Paul would say a couple times in 1 Corinthians, “imitate me” or “imitate me as I imitate Christ”. Paul would also say to Timothy 4:12 “Don’t let anyone look down on you because you are young, but set an example for the believers in speech, in life, in love, in faith and purity.” Leaders, are you setting the example? How should non-leaders support leaders? Read Hebrews 13:7 and 17. What principles does the author of Hebrews (we don’t know for certain who wrote it) say a congregation should apply when supporting leaders? Remember what Peter said? In 1 Peter 5:1-5, pay special attention to verse 5. What principles does Peter teach followers to adhere to? How will you support your leaders when you disagree with them? There are some clear warnings in Scripture. What cautions can we learn in the following two passages: Proverbs 6:16-19, Matthew 13:24-43? In Acts 15 there was a sharp disagreement in the church. What was the disagreement? How did they respond to and solve the disagreement? What principles can we learn from this? No matter if you are paid staff, volunteer leaders or non-leaders, all must be committed followers of Jesus. What will it look like for you to “deny yourself, take up your cross daily and follow him”? It has been a few years, but for a long time every fall Faith Church held a Harvest Bazaar. Before that it was called a Christmas Bazaar. Many people in our congregation would cook up a storm in their kitchens, creating delicacies for the bake shop. Others would staff the snack shop, making amazing chicken soup. Still others would be hard at work crafting and donating and volunteering and we would have numerous rooms in our church building filled with items that people could buy as Christmas gifts. And buy they did! We would often raise $2500 or more from the Bazaar. But why would we do this? It was a lot of work! Our congregation initiated the Bazaar decades ago as a fundraiser to pay off the debt we owed on our building. Eventually we did pay off the debt. I still remember the mortgage burning ceremony. We have had memorable experiences with fire in our sanctuary, such as when the Advent wreath caught fire! But I’m talking about the time when we had paid off the mortgage to the most recent expansion to the building, and we celebrating by burning the mortgage documents in a bowl during a worship service. Though the mortgage was paid off, we kept having the Bazaar for a number of years. Now we decided that the proceeds of the Bazaar would be directed to the Building Fund and to support missionaries. Both good causes. And yet there was discussion about whether or not we should keep having the Bazaar. Was its purpose completed? People had numerous points of view, both pros and cons. It took a lot of work, and people were getting burned out. So we eventually slowed down our pace to holding the Bazaar every other year. The last time we held a Bazaar was three or four years ago, and we have no plans for another. At one point there was a suggestion made in favor of continuing the Bazaar saying that the Bazaar was an outreach. How was it an outreach? Well, didn’t it bring people from the community into our building? It did. That is true. Probably hundreds of people in the community would stop in, look over items, eat food, and buy stuff. But just because they came into the building could we say that qualifies as outreach? We’ve heard this before about the Youth Chicken BBQ we hold every spring. People say that not only does the BBQ raise money for our youth group, it also has an outreach element to it. We’ve heard this about pretty much anything we do that brings people into the building. By holding an event or program for which they walk through the doors of the church building, it is reasoned, we are reaching out to them. We have done this quite a bit over the years: Ballroom Dance Classes, Vacation Bible School, Trunk or Treat, Concerts, Breakfasts and now most recently Summer Lunch Club. In our recent history this approach is how we have thought about outreach. Is that outreach? What should outreach be? And before we can answer those questions, should we not ask the questions behind the question? Why do we do outreach? 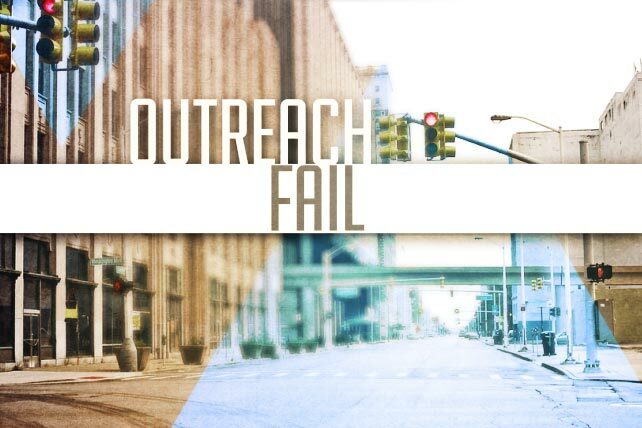 Should we do outreach at all? We should have solid reasons for why or how we do outreach before we start outreach. But do we have solid reasons? Join us at Faith Church this Sunday August 14 as we seek to answer these questions.